Fall is here! The season for colorful leaves, cozy sweaters, campfires, pumpkin-spice-everything, and APPLES! Apple pie is one of my FAVS! And that’s saying a lot considering that there isn’t chocolate in it. You know, because, chocolate is queen. Anyway, pie. Mmmmmm…pie…such a versatile dessert! And while there are lots of types of pies, there’s none more classic than the all-American favorite– apple pie. 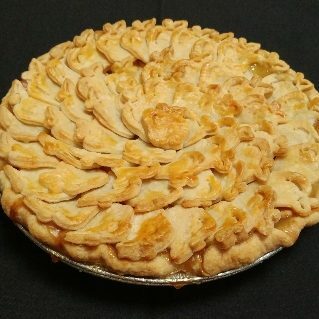 I usually make 10-20 apple pies for my personal life in the Fall each year (LOL). Some for Thanksgiving, some for friendgivings, and some just to celebrate the deliciousness of the season. Because baking with booze makes everything better, AmIRight?! I tweaked and tested my recipe a few times before arriving at the final recipe, as its written here. The end result has a subtle hint of bourbon flavor, complimented by brown sugar, cinnamon, and lemon zest to add some brightness to the sweetness. In an attempt to really make the pie standout, I cutout apple-shaped pie pieces and layered them on the pie to create the top crust. It took quite a bit of effort, but the end result is totally worth it!! And, I WON the contest!! Best appearance category! YAY! I’m so excited to share this recipe with you. Let’s get bakin’! 1) First, let’s make the crust. In a large bowl, whisk together the 3 cups flour, 2 Tablespoons granulated sugar, and 1 tsp salt. Cut the 10 tablespoons of butter and 7 Tablespoons of shortening into chunks and put those in with the flour mixture. Using a pastry blender or two knives, cut the butter and shortening into the flour until they’re small pieces– about the size of a pea– and fully incorporated into the flour. 2) Add in 4 Tablespoons of water and gently fold the water into the flour mixture. Continue adding one Tablespoon of water at a time. Switch to folding the water in with yours hands, lightly kneading the dough. You want the dough to form a smooth ball, but don’t want it sticky. If it’s too sticky, add in a little more flour. If it’s too dry, add a little more water. You should be able to hold the dough ball and not have any of it come off and stick to your hand. 3) Divide the dough into two balls and flatten each slightly into a disk. Wrap them each in plastic wrap and put them in the fridge. Refrigerate the dough for about an hour. If you do this ahead of time, you can even refrigerate it overnight, and just remove it from the fridge about an hour before you’re ready to use it. 4) When the dough is done in the fridge, take out one of the two dough balls. On a liberally floured surface, roll it out into a 10-12 inch circle. I typically flip the dough 3 times, making sure to flour the surface each time before continuing rolling. 5) Take your pie plate pan and put it near your dough. Roll the dough up onto the rolling pin, and unroll it onto the pie pan. Lightly press the dough into the pan, making sure that it covers the bottom and sides of the pan. 6) If you have more than about an inch of overhang of dough over the edges of the pan, trim them down to about an inch. Roll up the remaining overhang to form the thick crust edges. Crimp the edges as desired. 7) Time for the filling! Peel all of the apples. Slice them into similar-sized pieces, about 1/4 inch thick. I use a mandolin to slice the apples which I find makes it a lot easier! 9) To the apples, add the brown sugar, granulated sugar, flour, cornstarch, cinnamon, pumpkin pie spice, salt, and lemon zest and stir using a wooden spoon until the mixture is evenly distributed on all of the apples. Add in the bourbon and vanilla extract and gently mix everything together. 10) Put the apple mixture into your prepared pie crust. Cut the remaining 1 Tablespoon of butter into small pieces and put it all over the top of the pie. This prevents the top crust from sticking to the apple mixture during baking. 11) Take your other ball of dough out of the fridge. Roll it out on your floured surface. The shape doesn’t really matter. You want it probably about 1/8 of an inch thick. If it’s thicker or thinner, that’s ok. It’s just most important that it all be the same thickness. 12) Using a cookie cutter shape of your choosing, cut as many of the shapes as you can out of the rolled out dough. I used an apple-shaped cookie cutter. Layer the shaped pieces on the pie, allowing each to overlap slightly. Continue this process until the whole pie is covered. 13) In a small bowl, whisk together the egg and milk. Using a pastry brush (or your fingers) put a very light coating of the egg/milk mixture all over the crust of the pie. This will help you to attain that desirable golden brown color. Place the pie on a baking sheet. This will catch any drips while baking. 14) Bake the pie on the baking sheet in the preheated oven for about 1 hour, or until the apples are bubbling and the crust is golden brown. I hope you enjoy!  #thefetchingfoodie with your baking!! What is your favorite pie?! Oh my! They are almost too pretty to eat, but I would if I had one [especially one you just baked] to eat. The bourbon sounds interesting. I wonder how many slices I could eat before…well you know? !